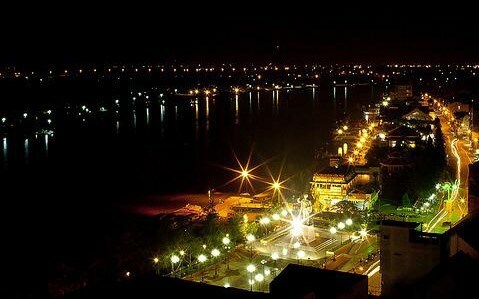 Can Tho (VNA) - The Cuu Long (Mekong) Delta city of Can Tho will hold a night festival with flower garlands and coloured lanterns in Ninh Kieu district from August 19 to 21. The highlight of the festival will be a contest called “Hoa dang Ninh Kieu hoi tu và toa sang” (Ninh Kieu lanterns shine brightly together) which will be held at the Di Bo (Pedestrian) Bridge in Ninh Kieu Harbour. Participants can submit their floral lanterns by the morning of August 19, and they will be exhibited on the nearby Khai Luong Canal until August 25. “The event will demonstrate Ninh Kieu’s hospitality and attractiveness for both domestic and foreign tourists, especially international officials attending APEC 2017,” said Nguyen Thi Hoang Oanh, head of the district’s Culture and Information Bureau. The event is a collaboration between the district People’s Committee and the city’s Department of Culture, Sports and Tourism.